The Laser Warehouse is a leading reseller of aftermarket used and pre-owned cosmetic lasers, IPL equipment, handpieces and applicators. We are wholesalers and do not broker equipment. We own all of our inventory. We stock top brands and models of aesthetic equipment currently in demand by medical and cosmetic practitioners. The Laser Warehouse is one of the few true wholesalers on the market today. Many companies that promote themselves on the internet either through their webstores, eBay or DOTmed are brokers. They cannot provide their customers with the best deals and need time to source the equipment that customers are looking to buy. Working with a broker does not save you money. When you purchase equipment from a dealer, you pay more to cover broker fees. The Laser Warehouse’s administration costs are spread out over the many transactions we conduct. And, because we own all of our inventory, The Laser Warehouse is able to offer our customers the best deals possible. Over the years, we have developed strong relationships with banks and other vendors, which allow us access to a wide variety of the most highly demanded brands and models of used cosmetic laser equipment, handpieces and parts. We are able to buy equipment that is in excellent condition and at the lowest prices possible. Once we acquire equipment, our staff of highly trained technicians, test and conduct thorough maintenance before we officially put equipment up for sale. This is our commitment to our customers to deliver high quality aftermarket aesthetic lasers and IPL equipment that perform and comply with manufacturer specifications. Your patient’s safety and satisfaction is our number one concern. The Laser Warehouse has conducted thousands of transactions. We are one of the biggest sellers of aftermarket Palomar and Syneron equipment. Our reputation speaks for itself. 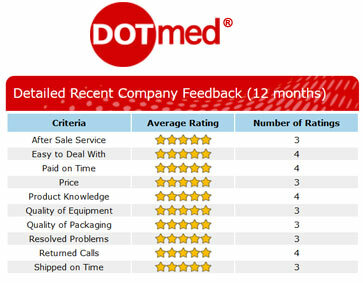 Testimonials on DOTmed and our top 100 rating confirm that we are committed to operate with integrity. Visit reputable agencies such as the Better Business Bureau and the Complaints Board to see if any complaints are lodged and the company’s track record. Check with colleagues regarding their experiences. Many companies also sell equipment on Dotmed. Check ratings there as well. Investing in aesthetic laser equipment is an important financial decision for your practice, and you want to ensure that you select the best possible equipment that will deliver excellent return on capital, increase patient satisfaction and drive new business to your practice. All of our staff has extensive experience with the industry’s leading brands. We understand the differences between the various models offered by manufacturers and which IPL or cosmetic laser equipment will truly meet or exceed your expectations. Our technicians are among the most experienced in the industry. They are certified and perform all quality control, maintenance and repair of equipment to ensure quality of our aftermarket products. Our inventory is updated daily to ensure we have the diverse selection of cosmetic lasers and handpieces available for our customers. The Laser Warehouse recently increased our inventory by 30% to meet growing industry demand. Please contact us to make an appointment to visit our facility. We are happy to demonstrate any laser or handpiece on-site. We sell equipment worldwide in a timely and reliable manner. Call us today at 954-254-4612 regarding our inventory or to visit our warehouse. We are a leading provider of used cosmetic lasers, used medical lasers and other aesthetic equipment. The Laser Warehouse has been providing high quality pre-owned medical laser equipment at affordable prices for over a decade. 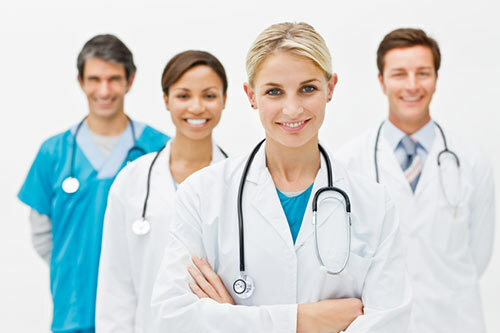 We also offer medical laser repair services by the industry's best technicians. Interested in a laser or having issues with your existing medical laser equipment? We're here to help. Contact us now for a free quote or troubleshooting. Our experts are standing by.